Yesterday my friend told me his dojo has grown 200% in the past week. Turns out, they got one new member. Meanwhile, across town, the local Mixed Martial Arts gym is growing like crazy. They need to bang out a couple of walls to fit all the youngsters in there soon. MMA has truly come a long way in such a short time: From fighting in rusty cages or dark alleys twenty years ago, to competing in some of the biggest arenas around the world. Heck, last time I checked, some MMA stars had even become movie stars – shooting Hollywood blockbusters between upcoming fights. So, not only do they get boatloads of money for beating the crap out of each other, now they get fistfuls of dollars for pretending to beat the crap out of each other! 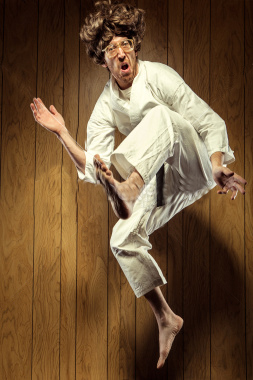 Question: When was the last time you saw a Karate practitioner sign a multi-million dollar contract? Get paid to compete? Drive a Lambo? Have a private jet?